Finally liberating ourselves from the "C" section of Peter Reinhart's book The Bread Baker's Apprentice, The Slow & Steady subgroup of the BBA Challenge baked English Muffins. I'm going to have to say that for me, the most amazing part of this bread-baking odyssey is that my oven has produced breads that look and taste as good (often better!) than those purchased at a bakery. 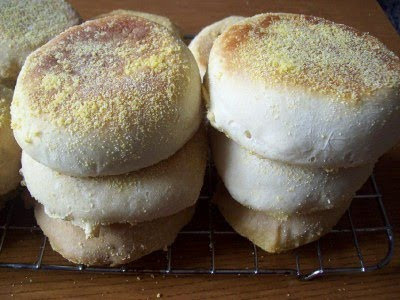 Bagels, Ciabatta, Raisin Bread, and now: English Muffins! The Slow & Steady bakers really hit the ball out of the park with this recipe. Read on! The next roundup in the BBA Challenge, Slow & Steady style, will be Focaccia. Look for it soon! 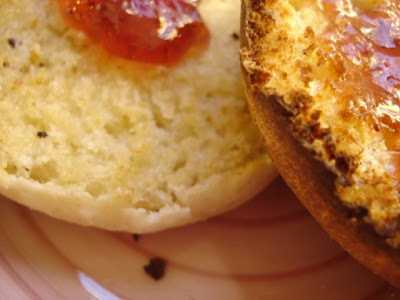 Everyone did such a beautiful job on the English muffins! This is reminding me of how delicious they were - I'm going to have to make them again soon! Great roundup Nancy! Thanks for the great roundup. You do us all proud. another great round-up! It's making me want to make them again. Especially since it only makes 6! I just love seeing them all together like this, like a little family of English Muffins all gathered for a holiday. Everyone did a great job, which leads me to believe, this is one GREAT recipe and hard to mess it up. Another reason for never buying them at the supermarket again. So easy, so fun, and so tasty! I better make some tomorrow again. What an impressive array of English muffins! I'm so inspired by what everyone else did to make these again with some of what I learned from reading the round up. Thanks for being such a great leader! I really didn't rock on my BBA English muffins, but reading about all of the other lovely muffins makes me want to try them again someday. Each and every version of these looks just wonderful. I also really want to make the loaf -- I was annoyed that I didn't try it the first time. Thanks for the wonderful roundup! Ciao Nancy ! You are really making wonders with the round ups ! Seeing them now makes me wanting to make more ! (but how much bread can we eat ?) Thank you very much ! 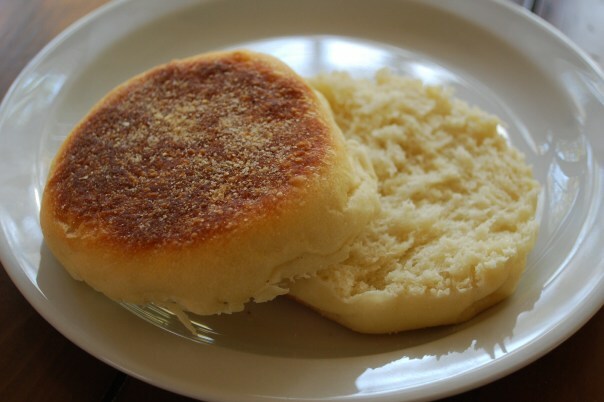 Wow, everyone's English muffins look great. Mine, unfortunately, did not. 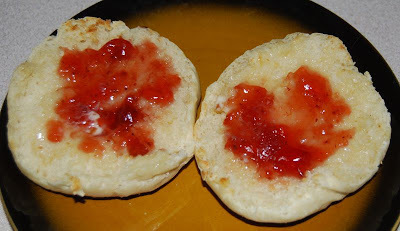 =) I don't like English muffins all that much, so that's okay.